I already had a post last week where the Diamondback covered our presentation to the College Park City Council, and on Thanksgiving day our proposal for tax credits for green businesses has made it into the Washington Post and the Gazette. Representatives from UMD for Clean Energy presented their plan to the College Park City Council at its Nov. 17 work session. Their proposal would give property tax breaks to businesses that provide energy-efficient products and services, as well as those that reduce their own carbon footprint. It could take several years to implement, and city officials appear willing to listen. But the plan faces several obstacles, one of which is that it is not currently legal. Municipalities in Maryland are not allowed to offer tax breaks to businesses based on whether they are environmentally friendly, or “green.” Federal and state governments have done it for years — mostly to reduce energy use and reliance on nonrenewable sources — and counties in Maryland have had the right since May. Nonetheless, the students said that with time and legislation, the proposed city-level tax break would make College Park a popular destination for a growing number of energy-efficient organizations. Their proposal would call for a two-tier system. Tier 1 businesses — those that specialize in energy-efficient products and services — would receive a tax credit. A smaller credit would go to Tier 2 businesses in non-“green” sectors that adopt eco-friendly practices such as recycling and improving storm-water management. Edmonston-based Community Forklift, which collects and sells used building materials, and Beltsville-based solar energy provider SunEdison are examples of businesses that would qualify for Tier 1. Staver said the city has few, if any, Tier 1 qualifiers of its own and that adding new ones would have a positive impact. The students did not suggest a specific amount for the credit. While new Tier 1 businesses also would boost the city’s revenue, Mayor Stephen Brayman expressed concern over the tax breaks existing city businesses could receive. He said that in difficult economic times, lower taxes for Tier 2 operations could leave residents to foot the bill. The council and student group said they would be willing to work toward a compromise. City officials currently lobbying the state for permission to offer a revitalization tax credit to attract new businesses, and Wojahn said they could incorporate language that appeals specifically to green businesses. Usually when I come across a column in the Washington Post by Kathleen Parker, it’s well written and makes some sense(even if I don’t agree with it). So I was a little surprised when I see a column by Parker talking about how the American Clean Energy and Security Act(ACES) is going to make America less secure, and actually increase our dependence on foreign oil. So, it’s time to put this column to shame. Let’s see if I can sum up Parker’s argument. By capping carbon, we’re going to make ourselves more dependent on Saudi oil, and therefore less secure. The rationale is the carbon emissions from the tar sands in Canada(the dirtiest pollution in the world) , or the processing required from domestic sources offshore and in ANWAR, are greater than emissions from foreign sources. Furthermore, the new CAFE standards and biofuel initiatives passed by President Bush and implemented under Obama will do more for security than ACES. Okay, so the security argument is bogus, but only because of Parker’s ignorance of the issue the bill seeks to address. What about the oil argument? Parker doesn’t hesitate to credit Bush with getting weak CAFE standards passed, even though it was Obama who actually gave them teeth. It’s also questionable at best, and whether energy intensive corn-based ethanol does anything other than make corn farmers more money. Now where Parker is right is that CAFE standards will do a lot for energy independence, especially more than offshore oil drilling which according to our own Energy Adminstration would have no effect on production or prices until 2030. The irony is that Parker cites these new CAFE standards without any hint of where automakers are going to get their money! The truth is that ACES provides $20 billion dollars in funding for “electric vehicles and other advanced automotive technologies”. It also sets up incentives and loan guaruntees for auto companies to utilize to meet the CAFE standards. Sorry Kathleen. Then there’s the increased price signal on oil(small at first yes) which will increase over time as the cap bites harder. Combine that with the fact that in order to meet the 21 billion gallons of advanced biofuels part of the Renewable Fuels Standard Parker so aptly describes in her column, you’re going to need the funding that Waxman-Markey provides both to the vehicles, and the concessions the Agriculture Committee won over offsets regarding the 24 billion dollars worth of estimated domestic agricultural offsets available to farmers yearly. All of the above is why the Union of Concerned Scientists has a report saying the bill will reduce oil use by 6 million barrels a day by 2030, putting drilling for a few hundred thousand barrels to shame. So yes Kathleen, ACES will discourage us from buying more oil from the Canadian tar sands, but that’s a good thing for the main issue the bills seeks to address which you ignore. Your drill strategy screams “drill baby drill!”, so thanks for endorsing the Republican “all of the bad ideas” energy policy. Your point about CAFE and biofuels leaves out where the funding for these new technologies is coming from. You omit the emphasis in the bill on mass transit. You omit from mentioning the fact that the bill increases national security by reducing carbon emissions(although it needs to do more there) and makes a global treaty possible, hence giving us a chance to prevent catastrophic climate change. In case you still think transportation issues are unaddressed, I’m copying part of a post from NRDC below which shows excerpts from the bill that address the issue pretty thoroughly. Passenger Cars: In Section 221, the draft bill directs the President to use existing statutory authority to set vehicle performance standards for light-duty vehicles, to the extent practicable harmonizing fuel economy standards set by NHTSA and greenhouse gas emissions standards set by EPA and California. Standards have to achieve at least as much emissions reductions as would be achieved under a national implementation of California’s stringency targets (my colleague Roland Hwang provides an example of how to this can be done). Furthermore, the draft preserves California’s authority to continue to set its own emission standards for motor vehicles. Trucks, Trains, Ships and Planes: Section 221 also requires the EPA to set greenhouse gas standards for new heavy-duty vehicles by the end of 2010, and for new marine vessels, locomotives and aircraft by the end of 2012. Standards for all vehicles “shall achieve the greatest degree of emissions reduction achievable based on the application of technology which the Administrator determines will be available at the time such standards take effect, taking into consideration cost, energy, and safety factors associated with the application of such technology.” Also credits can be generated for going beyond standards and those credits can be traded across mobile source categories. Authorizing a competitive grant program for regions implementing these plans. 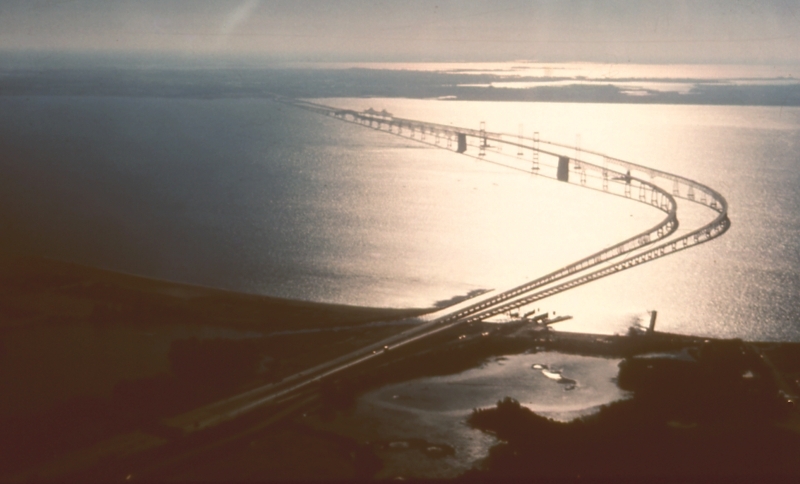 Combined, these commonsense requirements make a sound foundation to design a program that reduces greenhouse gas pollution from transportation and land use patterns. Incentives can encourage a more rapid adoption of energy efficient technologies than standards alone, expediting the transformation of our entrenched transportation infrastructure and creating new jobs. Nearly 100 years of driving on cheap oil has created an infrastructure tied to the internal combustion engine. Clean mobility in the future will be across multiple modes and increasingly powered by efficient electric drivetrains. The Waxman-Markey bill establishes programs to start deploying advanced plug-in electric-drive vehicles. Vehicle electrification holds significant potential to minimize oil consumption and global warming pollution. This fundamentally different transportation system will require equally new ways to refuel our vehicles, regulate fuel supply, and invest in infrastructure. Thus, in Section 122, the draft bill directs electric utilities to begin planning the supporting infrastructure for electric drive vehicles. Utility plans will include ways to support a large fleet of electric vehicles such as charging stations and battery exchanges. The components of our new electric transportation system must interact seamlessly. Careful planning will ensure compatibility between emerging vehicle and grid technologies. Towards this end, the bill requires utility infrastructure plans to achieve interoperability between new vehicle technologies and new grid technologies to the greatest extent possible. Utilities and regulatory authorities must establish protocols and standards for integrating plug-in vehicles into the electrical distribution system including a smart grid. This will include vehicle identification so that a vehicle owner can purchase electricity for fuel regardless of location. Cost recovery is left to the discretion of state regulatory authorities. Despite their many benefits, plug-in vehicles are subject to market barriers such as upfront costs. Section 123 addresses this problem by providing regional large scale deployment programs for electric-drive vehicles. The deployment program actually serves several purposes at once. It introduces advanced vehicles into the market but also collects information to control the integration of plug-ins with existing and new infrastructure. For instance, the deployment program will collect and disseminate best practices across different regulatory environments and it will address electrical system performance and demonstrate protocols to facilitate vehicle and grid integration. State and local governments can apply for deployment funds and may apply jointly with electric utilities, automobile manufacturers, technology providers, car sharing companies, and other entities. Funds may be used to offer plug-in purchase incentives, install electric charging stations for plug-in electric vehicles, establish battery exchanges, or pay for smart grid or infrastructure investments that integrate plug-in vehicles with the grid. Existing fuel economy regulations are essential to keeping vehicle technology aligned with the nation’s need to reduce global warming pollution and oil consumption. But they are also interim steps that can be met with conventional technologies. Significant long term emissions reductions will require unconventional technologies that sharply break with today’s. Even so, technology deployment is inherently risky. It poses significant upfront costs which some manufacturers are reluctant to incur. In Section 124, the Waxman-Markey bill addresses this by defraying the costs of electric drive vehicle manufacturing investments. The bill provides incentives for automobile manufactures to retool their facilities so that they can build plug-in electric-drive vehicles that are produced in the United States. The incentive would also help plug-in manufacturers purchase domestically produced vehicle batteries for their final products. The program is needs-based: the applicant must demonstrate that without the incentive, it would be unable to reasonable finance plant retooling or vehicle batteries. Section 223 of the draft bill authorizes continued operation of the EPA’s SmartWay program to promote energy efficient technologies in passenger transport and goods movement. SmartWay provides financing to upgrade existing heavy truck stock with technologies that improve fuel economy, reduce idling fuel consumption and cut criteria and global warming emissions. The program also promotes operational changes that can reduce truck mileage. SmartWay is also expanded to compile a database of the nation’s truck fleet characteristics and emissions performance, a task previously managed under the Census that has not been updated since 2002. Alright, in the spirit of trying to forget Sarah Palin ever was a serious candidate for Vice President, it’s been a long time since I bothered writing anything about her on this blog. Alas, I must pause and break that silence, thanks to a lousy column by Palin appearing in the Washington Post today assailing the Waxman-Markey climate bill. I’m actually not going to write too much myself, I thought about it, but decided it still wasn’t worth the time. I saw on Grist, one of their writers pretty much says what I was thinking, and I’m going to cross-post it below. A couple things to note, why is this bill actually a net gain for the economy? Because of the energy efficiency provisions in the bill. The last thing the writer didn’t address was the one actual number Palin had in her column, which was $ 4.2 billion allocated over 8 years to help displaced workers by the bill. Palin says “oh this must be for all the jobs it causes to be lost”. The reality is this bill is a net jobs gain by far. However, we’re obviously going to be producing less of some things like coal. Be glad this money is there, it’s to help these workers retrain and transition into all the jobs the bill will be creating, without throwing their lives upside down. Basically even though the bill does a lot more good than harm on the jobs front, what little harm it does has a well designed safety net. Alright, I’m done. The cap-and-trade climate and energy bill passed by the House last month is not a perfect piece of legislation. Critics on the right and left have leveled tough criticisms at it, questioning whether it will do much to accomplish its stated goal of cutting carbon emissions or if it will overburden average consumers with high energy prices. These criticisms, typically, come backed by well-reasoned arguments. The liberal critique of Waxman-Markey focuses on the questionable decision to give away emissions credits to polluters and concerns that the Agriculture Department, not the EPA, will review and regulate carbon offsets in the farming sector. Many conservatives, meanwhile, have argued that the best way to curb emissions and spur a clean-energy revolution is with a carbon tax, not a complicated cap-and-trade scheme. So when the person John McCain once said knows more about energy policy than anyone else in America pens an op-ed for one of the nation’s highest-regarded newspapers, it’s time to pay attention and learn something. Sarah Palin, the soon-to-be-ex-governor of Alaska, has an opinion piece (a screed, really) in Tuesday’sWashington Post in which she shrilly blasts away at “President Obama’s cap-and-trade energy plan,” calling it “an enormous threat” to the U.S. economy. Palin’s thesis comes loaded with plenty of rhetoric and zero facts. It offers nothing more than assertions about the emissions reduction part of the bill, ignores the energy investment and green jobs provisions, blames “Washington bureaucrats” for hampering oil development in the Arctic National Wildlife Refuge (not Congress, where elected lawmakers have repeatedly expressed the American public’s desire to keep ANWR off limits), and fails to even take note of the underlying issue—catastrophic climate change. Couldn’t Palin’s ghostwriters have cribbed from any of the well-researched, highly technical criticisms produced by just about every conservative think tank in the land? Palin says the bill would result in skyrocketing energy prices. Higher prices are surely likely, David noted last month, but not on the order of what Palin thinks. See David’s debate with clean-coal flack Joe Lucas. There’s no such thing as clean coal, and even if the technology appears in 10-15 years as predicted, it will be so costly as to effectively raise energy prices substantially on the regular folk Palin claims to be defending. See Kate Sheppard’s piece from last summer. The oil shale pipe dream has been around since the 1970s. The fact is, the technology doesn’t exist yet to extract it cost-effectively, and won’t for many years (if ever). And extraction comes with a host of environmental problems. As for the nuclear energy canard, the fact remains that most Americans don’t want to live anywhere near a nuclear power plant or a storage facility for highly radioactive nuclear waste. France is a place where bureaucrats truly hold enormous power, and that explains in part why the central government was able to push nuclear so effectively. Thankfully, our American system is more democratic. Governor, listen closely: oil is a commodity. Even if we increase domestic production, we’ll still be held prisoner to Russia’s and Saudi Arabia’s ability to meet global demand—demand being driven by China, India and many other developing nations. Yes, governor, we can accomplish that goal. And there are probably several ways of doing it. But each path requires thoughtful policymaking, not just hot air for hot air’s sake. Russ Walker is a recent transplant to Seattle from the East Coast. He’s executive editor of the site, which means he spends a lot of time trying to be optimistic about cutting CO2 emissions. **Update 7/17/09** Congressman Ed Markey responds. 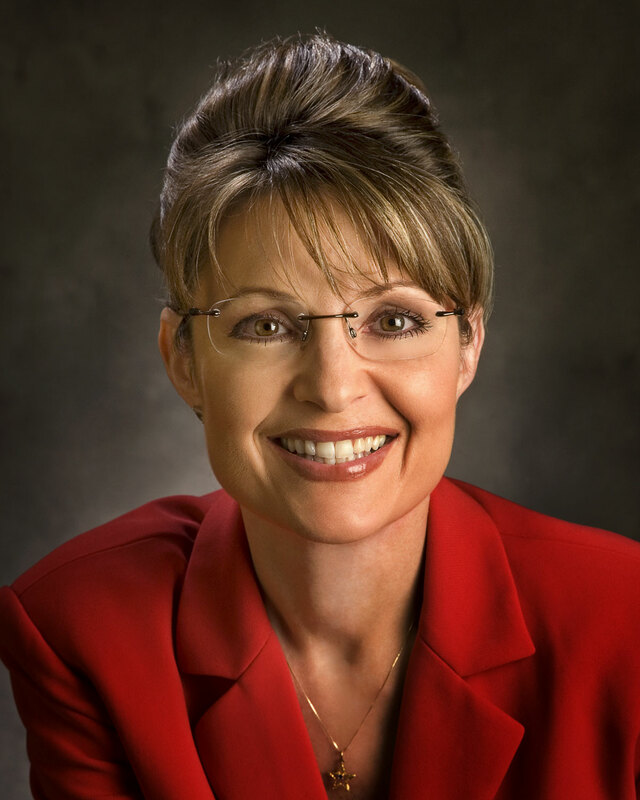 **Update 7/24/09** Senators Barbara Boxer and John Kerry refute Palin. I’ve mentioned before not all Republicans have their heads in the sand on clean energy and global warming, just most. There’s a good column in the Washington Post today by Michael Gerson(former speechwriter for George W. Bush) that makes a good case for why the 8 Republicans who voted for the Waxman-Markey bill which passed the House should not be burned at the stake by their own kind. I’m pasting it below. It is typical that we praise independent judgment and political nerve in our elected officials — until they show those qualities. Admittedly, this was not the best time to display conspicuous Republican environmental conscience. Obama’s ideological overreach on issues from the fiscal stimulus to health-care nationalization has put conservatives in a scrappy mood. The recession has brought the public’s economic anxiety into sharp focus and moved environmental concerns — droughts in the Sahel or floods in Bangladesh — into the hazy distance. And the House cap-and-trade bill itself was a riot of loopholes, concessions and offsets — legislative sausage-making with an excess of offal. But none of these political considerations change an underlying reality. A serious concern about global climate disruption remains the broad (not unanimous but predominant) view of the scientific community, including the National Academy of Sciences. Global warming since the 19th century is undeniable — a trend not disproved by year-to-year variations. These changes are closely correlated with increases in the atmospheric concentration of carbon dioxide since the Industrial Revolution. Climate disruption has become so rapid in some places that it is overwhelming the natural process of adjustment, reducing crop yields and leading to the extinction of species. Meanwhile, global carbon emissions are increasing faster than expected. Some scientists warn of possible “tipping points” — the rapid disintegration of the ice sheets, the sudden release of methane from warming northern soils — that could turn a challenge into a catastrophe of lethal heat waves and rising sea levels. Is this scientific viewpoint certain or guaranteed? Not when the scientific models concern a system as complex as the Earth’s climate. Neither is it guaranteed that an Iranian nuclear weapon would be used against that country’s enemies. But the realistic possibility of disaster, in both cases, would recommend a serious response. The range of serious responses is limited. 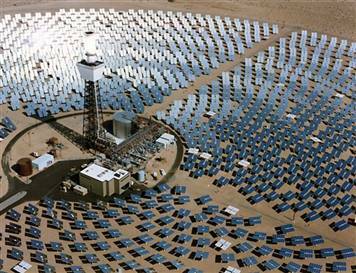 The federal government might spend directly on new technologies that produce energy without emitting carbon. But government’s record in picking technological winners and losers is poor. Others propose a carbon tax — a cost per ton emitted, with no special exemptions. This system would be simple to implement and difficult to game. But it would also disproportionately punish some energy-intensive American industries — cement, glass, steel and paper — that face intense international competition. The final alternative is a cap-and-trade system, which sets an overall limit on carbon emissions while directing relief to specific industries through rebates and offsets. Cap-and-trade has been used with dramatic success to reduce acid rain — but it has never been employed on the massive scale that the regulation of carbon requires. Critics argue that carbon restrictions, even if fully implemented, would reduce global temperatures only by minor amounts, which is true. We are not going to regulate our way out of global climate disruption. The only eventual solution is technological — the ability to produce affordable, clean power on a large scale. But conservatives seem strangely intent on ignoring the power of markets to encourage such innovation. Right now, the emission of carbon is essentially cost-free. Putting a price on carbon would make the development of cleaner energy technologies more profitable. New technologies could be employed, not only by America, but also by China, India and the rest of the developing, polluting world. And it is an added (but not minor) benefit that American resources would no longer be transferred to Saudi princes, Russian autocrats and Venezuelan dictators. It is perfectly legitimate to argue that the House cap-and-trade system is flawed beyond redemption — so complex and confusing that it only benefits regulators and the lobbyists who outwit them — and that Congress should start over with a carbon tax. It is also legitimate to contend that, while the cap-and-trade system is flawed, it is better than inaction and necessary to spur innovation. And for eight House Republicans who took this stand at great political risk, it is not only legitimate — it is admirable. **Update** 7/2/09: Another good Post column on the bill on the risks moderate Dems took. There’s a very primitive article written by Martin Feldstein, a professor of Economics at Harvard, which is interesting since I thought they had standards regarding who taught at their institution. To see a real analysis of cap and trade by a professor of Economics at Harvard that actually uses the degree earned for the position, see HERE. I’m going to make a few quick points below about how poor this column is by taking his paragraphs and providing real context to them. Only the first 2 sentences is right. Yes there’s a proposed system, and yes emissions will lead to serious consequences. However not just environmental consequences, also economic and national security harms as well. So there’s a problem, but…we should wait for a global agreement. It looks like Feldstein has just taken us back to the delayer strategy from 12 years ago with Kyoto. That was a brilliant idea. Do nothing and set action back a good 10 years. While an auction is preferable, the notion that all the permits are being given to corporations is a false one. Once again look at the analysis by the real Harvard economist here. Wrong! Once again severe dishonesty. This is under the assumption that 100% of the permits are auctioned off, and that none of the money is returned to consumers. However, 80% of the allowances in in some way allocated back to consumers. An EPA analysis actually takes into account the allocations and lump-sum rebates being given back to consumers through local distribution company allowances pegs the cost to be on average $90-150 a year. It’s also worth noting that because electricity prices will go up, consumption will go down, but consumers will get rebated for the higher prices separate from electricity costs. This means energy consumption will fall, energy conservation will rise, and the cost to consumers may end up being negligible. Oh and the whole we alone will not solve global warming, so therefore we must do nothing argument. Well..if we want a U.S. China deal, or to capitalize on Russia’s new stance, then we might want to be able to bring something to the table so we can get a global deal. Yes I might just be 1 out of millions of Americans, but it doesn’t mean I shouldn’t make environmentally conscious decisions just because my neighbors aren’t. Lead by example. Once again, you’re misrepresenting the permit allocation, and how the burden to households if affected by rebates given back to them. See HERE. This isn’t judgement. Judgement weights facts. Nevermind that there’s absolutely no mention of the job creating potential of green investments. Nevermind the value of getting off of foreign oil. Nevermind the value a stable livable climate. Nevermind energy savings from conservation. Go back and get your degree checked. **Update** 6/2/09** Joe Romm of Climate Progess has a very insightful post on this column. The best part which I’m coping here adds light to the $ cost stated in the op-ed. **Update 6/3/09** Economist Paul Krugman has also trashed Feldstein’s column. **Update 6/7/09** A good letter to the editor in the post responding to this column. It’s good to see that some journalists for the newspaper are willing to jab at a fellow staffer who isn’t being appropriately fact checked by the editorial staff. It also makes Will look even more ridiculous.